Every LiveJournal user will be offered to sign the new User Agreement with SUP Media. Given the new TOS means having to comply with Russian laws that are rather unfriendly to LGBT, I am unhappy about this forced change. I am for people being to express who they are and being able to love who they love without being discriminated against. I've been crossposting from my Dreamwidth account for a few years now, and it's become more & more my home account. If you're on DW, feel free to link me. ETA: If you could also drop a quick comment to identify yourself, it would be appreciated. At this time, I don't know if this will be my last LJ post, or whether I'll keep crossposting to both DW & LJ. For now, I will continue reading & commenting on my friendslist posts at both locations. 10:36 am: From Mars? From Mars! Muslims were killed in attacks on Christchurch mosques today. ETA: We live in Auckland, which is on a different island, and not in any danger as far as I can tell. But still feel the shock & numbness. After the news broke, I went offline. There was so much confusion & uncorroborated reports, especially on social media. Jacinda Ardern, New Zealand's Prime Minister spoke recently. She speaks for us. I'm off to get some sleep. Tomorrow, we will do what we had planned. I won't stop thinking of the people affected by the attacks. But I am not going to stop living my life. And I am not going to live in fear. All of us, all of us. and love of others - everybody! Sing it all a second time. All of us, all of us!! Loads of uplifting responses to the question: "What is the kindest thing a stranger has done or said to you?" Oh God I can’t even tell this story and not cry. I used to manage an LGBT bookstore, when bookstores were still a thing. One night, a caller says he thinks he might be gay and is considering self-harm. We were not a crisis center! But as long as we’re talking, he’s safe, right? 08:52 pm: TL;DR Wikipedia is gold! 06:36 pm: It really is a messed-up situation. Got teary listening to this interview on Kim Hill. It* really is a messed-up situation. But maybe there is hope. In the younger people. 10:20 am: Feeling sentimental this morning. Probably my favourite Christmas song is "How to Make Gravy" by Paul Kelly. This version is a mashup of different live Paul Kelly versions. (Just a little too much cologne)"
(What was his problem? He never did get Nina Simone)"
Wherever you are, I wish you a wonderful Christmas. 07:17 pm: It's already December so I assume it's alright to post Christmas-related stuff. 07:44 am: Because everyone needs a Brazilian Bluegrass version of "Ace of Spades". 06:22 pm: A neat accessory for your bookshelf. A neat accessory for your bookshelf. 06:43 pm: This is very cool. 08:20 am: So bad it's good, or so bad it's bad? The 2018 results of the Bulwer-Lytton fiction contest. The challenge: write the worst opening sentence to a novel. 12:49 pm: Steve Kilbey/ The Church / "Under the Milky Way"
Current Music: "Under the Milky Way"
06:47 pm: "Crazy? Yes! Dumb? No!" Love this Anika Moa cover of the Mint Chicks' "Crazy? Yes! Dumb? No!" And for comparison purposes, here is the original. Let's do the Dive Bomb again! It's the time of the New Zealand year when politics heats up. Yes, voting for Bird of the Year has opened. 06:38 pm: Happy Father's Day to those who celebrate it. Give your Dad a hug. Also: Spare a thought for those who don't have fathers, or their fathers are no longer around. 07:37 pm: What is this I don't even. I read this, now you have to. Do Men Enter Bathtubs on Hands and Knees So Their Balls Hit the Water Last? 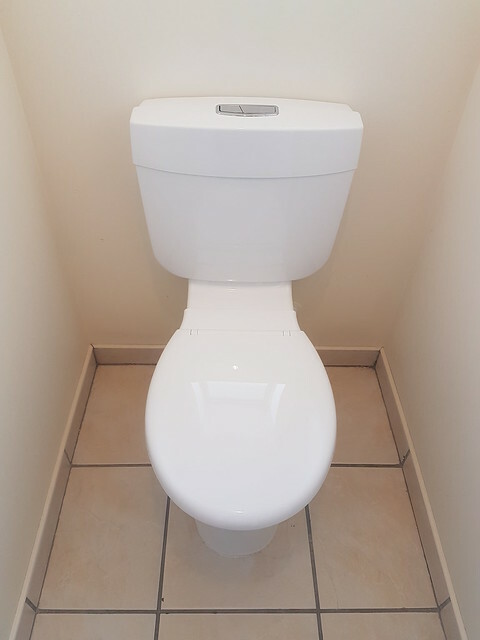 Before and after replacing toilet cistern. In between might* have been stress, frustration, gritting of teeth, panic. ...and that is why we're really not DIY people. 07:05 pm: Science Fiction haiku. Are my phone number, honey. Aspirational: We'll get one of them big sacks that they empty every two months. Surely that's easily long enough that we'll have no trouble filling it with our garden waste. Actual: They're coming to collect it tomorrow & the sack is still empty. Quick, we need to do some gardening!!! While stationary in queue at roundabout, car in front suddenly reverses at speed. Spoiler: Nobody hurt, but our front bumper sustained slight damage. There is a first time for everything I suppose. This is the first time I have been front-ended. A year ago, I was waiting to get surgery on my smashed knee. I'm not sure how to feel about it. (It's fine now, working at 85-90%, but it's not quite the same anymore. I can pretty much do everything including run if needed, though the mended knee & left leg are not as strong or flexible as the right leg. It doesn't hurt as such, but there is a little twinge that never went away, so I am never not-aware of it. Dyslexie: "A font designed for dyslexics. It's kinda bumpy and peculiar, but oddly legible." 08:21 pm: This is mesmerising. Pachelbel Canon in C (hicken). 08:10 pm: For the roleplayers: I Laughed. Out Loud. 05:33 pm: This is how the world ends. Untouched for millennia, tomb was found during construction work in Alexandria"
I mean seriously, have they not watched any movies of the apocalypse? Like ever? Such self-restraint when the really obvious headline is just right there. 11:00 am: Hey now what's that sound? Out in the car first thing this morning, noticed there was a clopping sound coming from the tyres. Was only after I stopped to check a second time that I found the cause. Luckily, it didn't appear to have caused a puncture. 06:08 pm: Fireworks display postponed because of whale in harbour. A Southern Right Whale has been in Wellington Harbour & has been making news. The city is abuzz with the novelty of the phenomenon. The whale is still hanging around, and looks like the scheduled fireworks display which is part of Matariki (the "Maori New Year") celebrations has been postponed. The fireworks are unlikely to harm the whale, but there were concerns that they might cause it to behave unpredictably. And given there are likely to be people in the water trying to get a better view of the fireworks (and perhaps also a closer look at the whale), a postponement seems the sensible option. 12:37 pm: Most overused song on Film & TV? Q: Now that you've hit Level 40, what pointless things do you do just for the fun of it? A: I've maxed out a 100iv Magikarp. 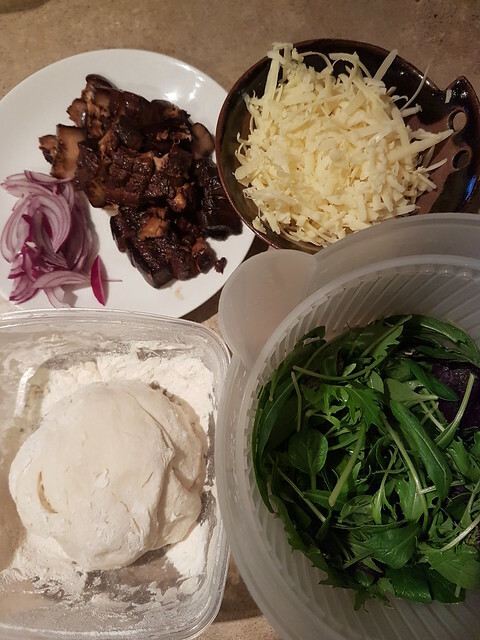 In today's episode of "Foodcrimes", I made pizza for dinner, but I topped it with soy simmered pork, red onion, cheese, and once out of the oven sprinkled salad leaves over it. And no, I am not ashamed I did it. It's cold & raining outside. Winter is here. 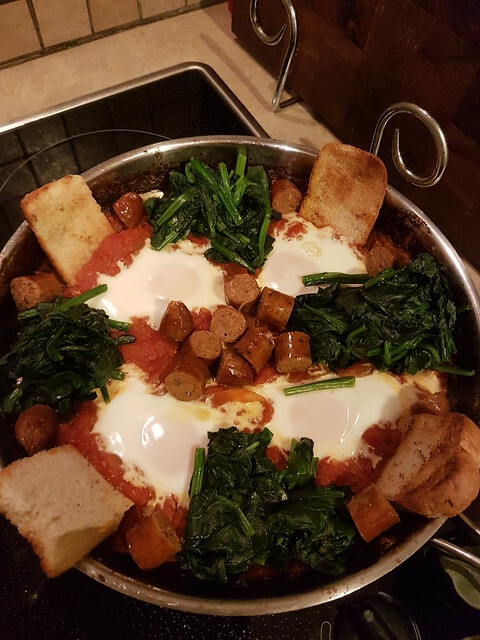 Dinner tonight, shakshuka. 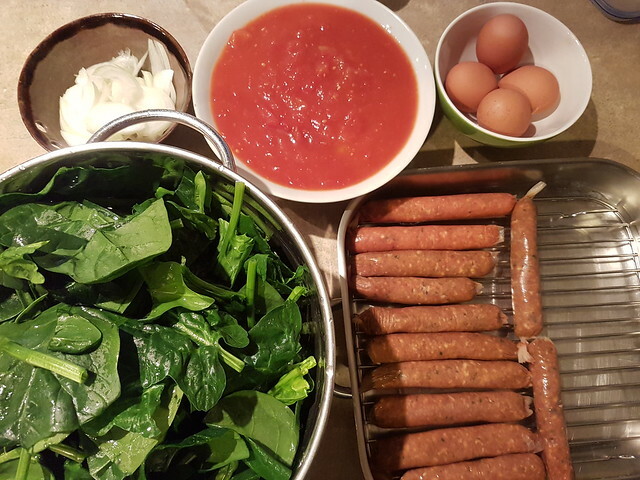 This version also has wilted spinach & grilled Merguez sausage. We had some leftover stale baguette which I sliced up & toasted in the oven & threw in. 10:28 am: The Story Of The Pogues & Kirsty MacColl: "Fairytale of New York"
Reported by Michael Swanwick on Facebook and Twitter. It is my sad duty to note the passing of Gardner Dozois today, Sunday May 27, at 4:00 p.m. The cause was an overwhelming systemic infection. Gardner had been hospitalized for a minor illness and was expected to be released shortly. The decline was swift. He died surrounded by his family. I never met him in person, but he was welcoming on the old Asimov message forum. I'd been aware of him, his annual Year's Best SF collections, his editing on Asimov's among others, had a big influence on my SFnal reading. I would have got onto online fandom without Gardner's influence, but it would not happened as soon. 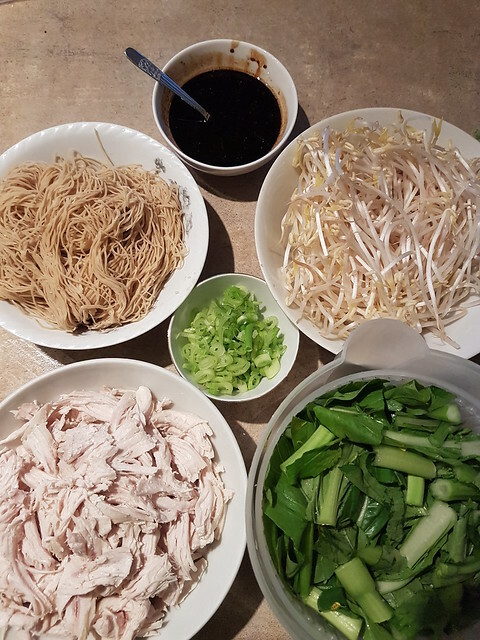 "Kua hinga te totara i te wao nui a Tane"
The typical Malaysian version I grew up eating is also called Wantan Mee because it was served with wontons. This version doesn't have wontons. The typical version is also served with char siew (BBQ pork). This simplified version uses shredded chicken meat instead. Light soy sauce & white pepper to taste. Put to boil two large pots of salted water & the poaching liquid. While waiting, make the sauce by combining the ingredients & stirring until the sugar is dissolved. 1. Add the noodles to one pot, stir to separate the strands. Once the pot comes back to boil again, the noodles should be cooked. Drain the noodles and stir in the Sauce. 2. Add the bean sprouts to the second pot of boiling water. Stir for ~10 seconds. That should be enough to blanch the sprouts. Drain them and set to one side. 3. Add the choysum to the boiling poaching liquid. Stir until the choysum is well wilted (should take less than a minute). Drain and set aside. To assemble, dish out a serving of the egg noodles in soy sauce onto a plate. Add the chicken, sprouts & choysum. Sprinkle chopped spring onion on top to garnish. Serve with the side dish of green chillies in soy sauce. Add white pepper to taste. 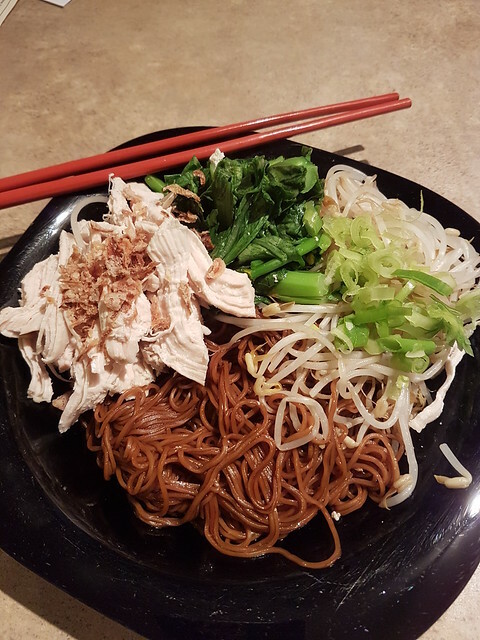 NB: You can also use the dried egg noodles instead of fresh but you'll need to allow much more time for them to cook (fresh is faster). Follow the instructions on the packet. After you have made it for the first time, you might want to adjust the proportions of the different soy sauces in "the sauce" to your own preferences as different brands can have different saltiness levels. 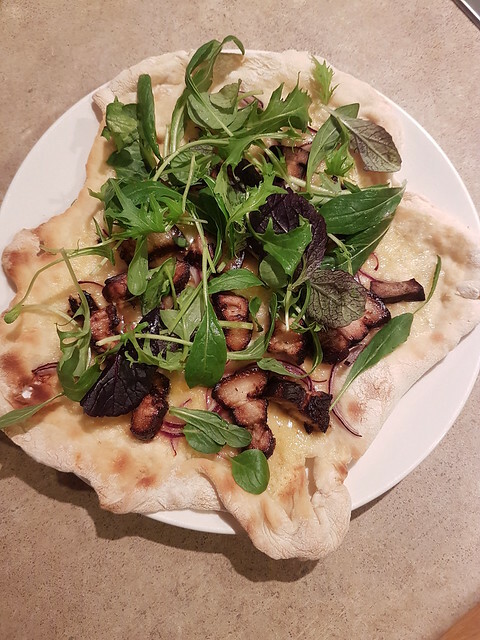 This time I've also sprinkled crispy onion as a garnish. This morning the fog was so heavy a bit of dew condensed onto eyelashes while walking to bus stop. Flights were delayed, diverted, or cancelled. 07:50 pm: Well played, New Zealand government. ...and New Zealand is missing from it. Now that the metalware has been removed from my knee, should I post a photo of the bits I got to take home? ETA: So here is the metalware that used to hold my kneecap together. I got to take them home after extraction. They've been cleaned & sterilised (and also photographed). Restaurants are getting louder, and not just in America. I've noticed it locally. It's bad enough that there are some places I won't go back to because they're too loud. 10:06 pm: Also: did you see the one about the aquarium thermometer being used to hack a casino? I love that the Māori version of the Finnish baby box is woven from New Zealand flax.